Hi Everyone! 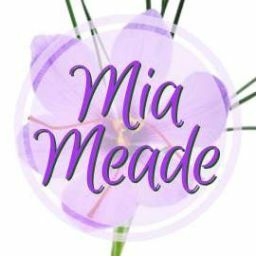 Mia Meade here, writing to you live on IGTV! 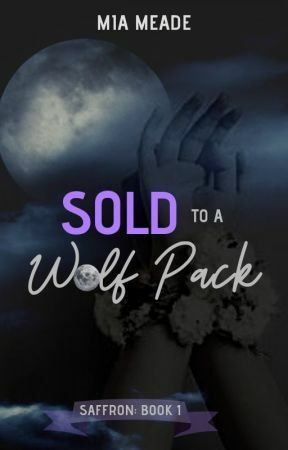 Are you ready for the next Sold to a Wolf Pack update? Lets go! :) ← Yup, that happened! Should I do it again with the next update? Two wolves stare back at us from the clearing. My gaze immediately locks on the older one, who&apos;s cowering behind his companion. He&apos;s around Father&apos;s age, give or take a few decades—that&apos;s as good an estimate as I can make, since it&apos;s nearly impossible to tell an adult&apos;s age in Wolf form. What isn&apos;t hard to tell is that he&apos;s clearly not the one in charge. He&apos;s trembling, his fear evident as he moves further back behind the much younger wolf. It&apos;s hard to catch his scent at this distance, but his face and part of his right side sticks out, so I can identify him by sight. His fur is gray, so light you might almost call it silver. He reminds me of someone, and suddenly, I realize who. What have you done to her? I shout over the link. The urge to tear the silver wolf to shreds makes me tremble with rage. I let out a loud growl, and he jumps in response. Where are the girls? Father demands. He steps forward, teeth bared, growling menacingly. I let out a growl of my own and follow suite. I try to move to Father&apos;s side, but Mother and Beta cut me off and stand between me and the Rogues. I know it&apos;s protocol—every pack Wolf&apos;s first duty in battle is to protect the future Alpha—but it&apos;s still torturous to hide behind everyone else like some coward... well, everyone except Kaitlyn. She&apos;s slowly backing away, and I shake my head in a silent order to stop. Don&apos;t know what you&apos;re talking about, the younger Rogue says. His fur is jet black and his eyes a piercing yellow green. He&apos;s not yet fully grown, but close, and I would place him around my age. He regards us casually, and then licks his paw, like he hasn&apos;t a clue how much danger he&apos;s in. I&apos;ll pretend to believe you, Father growls, if you can explain what you&apos;re doing on pack land. Actually, we&apos;re not on pack land. The younger wolf snickers—actually snickers—and the worst part is, he&apos;s partly right. He&apos;s technically sitting just outside the border, but it&apos;s only a technicality; stepping within feet of pack land without invitation is still a huge offense. I bare my teeth in warning, and the timbre of Father&apos;s, Mother&apos;s and Beta&apos;s growls create a symphony that would send even the bravest wolf running. The silver wolf quickly backs up, but the young wolf doesn&apos;t even flinch. Even though I&apos;m guessing he&apos;s around my age, he&apos;s got more confidence—and arrogance—than a older Alpha. His voice booms across the clearing, and the way he moves on to licking his other paw shows a complete lack of respect. What are you doing here? Father demands, advancing until the younger wolf finally sits up and pays attention. I have come here on official pack business.